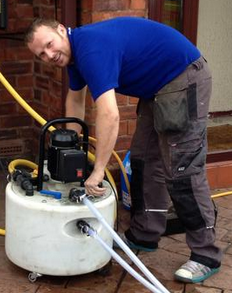 Harris Plumbing & Heating are one of the leading companies in the West Midlands. Our aim is provide our customers a comprehensive plumbing and central heating service which is not only first class quality but is also affordable. We realise that our customers expect us to be reliable, punctual and carry out workmanship to a high standard. Every one of us at Harris Plumbing & Heating is fully qualified, time served and hold all relevant qualifications. Over time we have built up a reputable company and more than 60% of our work are requested from repeat customers. Please take a look at our testimonial page where you will see all of our excellent customer reviews.